Mi is back with their Fan festival for this year 2019 from 4th April to 6th April. 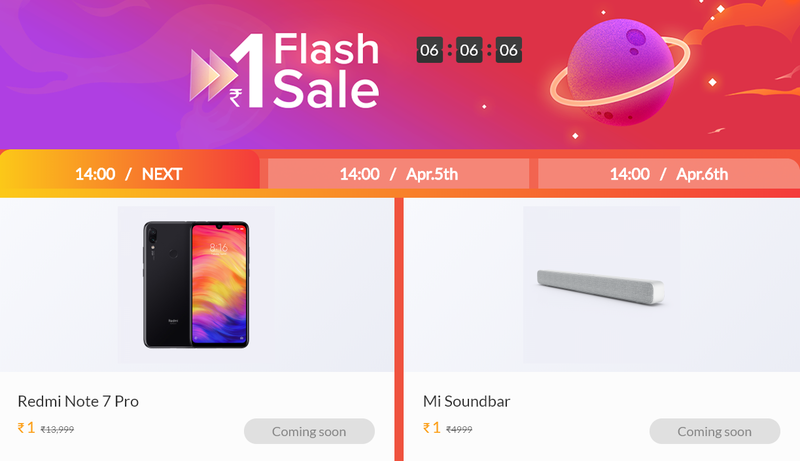 Time to shop for various Mi products at huge discounts/offers. 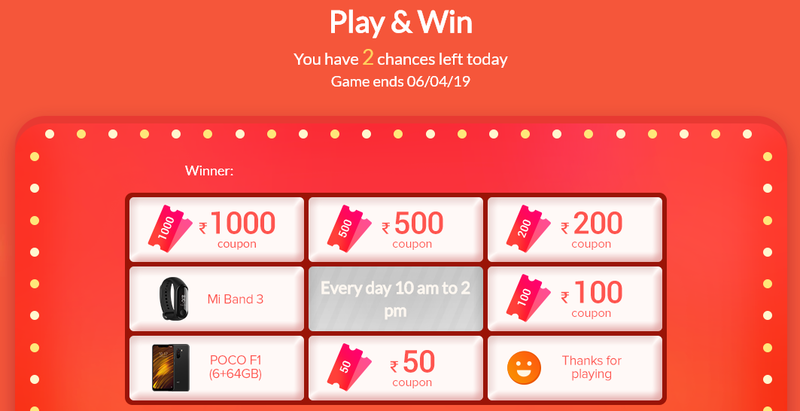 Apart from that, one can grab coupons, participate in Flash sale to buy Mi products at Re.1 including Redmi Note 7 Pro Smartphone. Participate in the sale !! You can get 5% cashback on a minimum transaction of Rs.5998 upto Rs.500 on Mi.com and Mi store. The offer is valid from 4th April, 2019 – 6th April, 2019. Did anyone get any mystery box?